Online casting call and video auditions for Nickelodeon in 2019. Do you love the Nickelodeon show Double Dare? Here is a chance to get cast on Nick. Double Dare is now casting tweens and teens to be on the show. 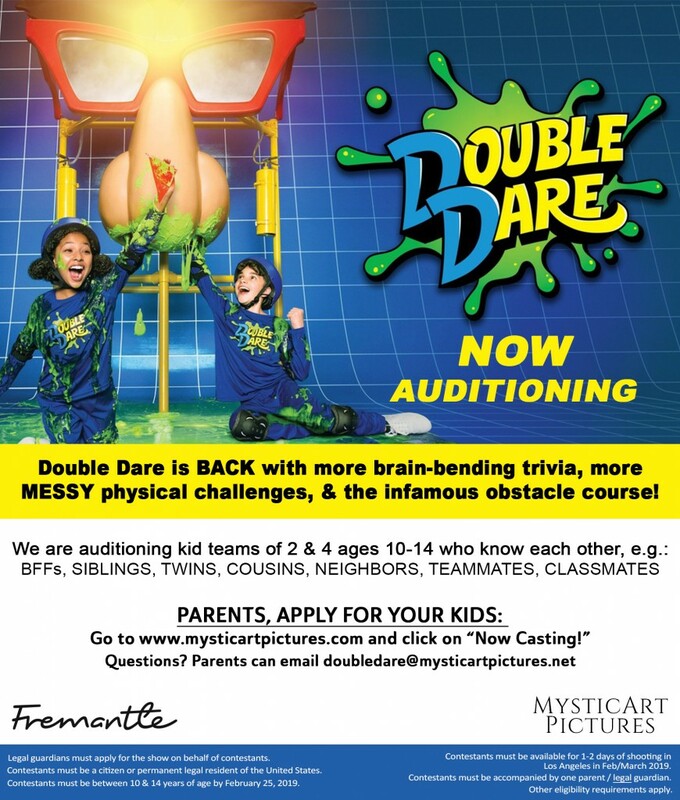 Double Dare begins filming later this month and is still looking for teams of kids that would like to be on the show. Auditions are being done online on the casting director’s website and kids are asked to get their parents to submit them, if they are interested in trying out for Nickelodeon. Double Dare is a game show which features tweens and kids competing in a variety of challenges, some of which can only be described as icky. The show is looking to cast teams of kids ages 10 to 14. Seems that teams need to be between 2 to 4 people. Those kids applying as a team must have a pre-existing relationship. That relationship can be one of a variety of scenarios. Teams can consist of neighbors, BFF’s, friends, school mates, siblings, cousins or other scenarios where they all know each other. Double Dare is a kids game show which has seen quite a few revivals over the years. The show originally premiered in the 80’s and has come back in various forms over the years. 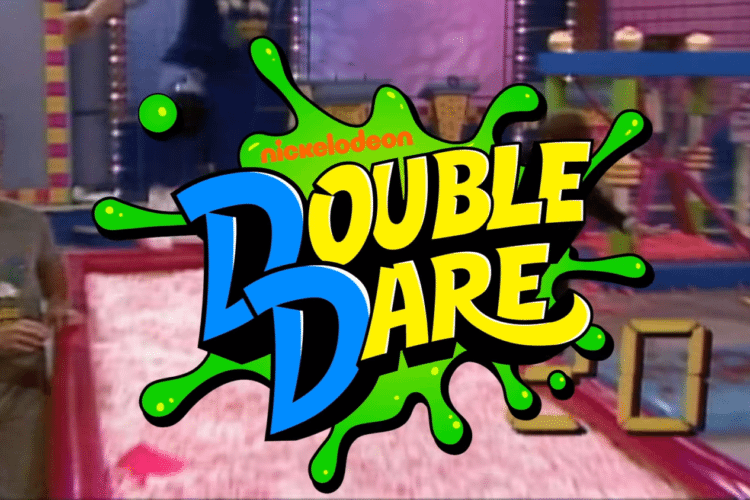 The latest reboot of Double Dare came out last year and it looks like Nickelodeon has renewed the show for the 2019 / 2020 season. Double Dare features tween and teen contestants who are locked in isolation booths. The kids have to solve puzzles and participate in challenges to win prizes. Double Dare has also produced a few spin-offs which include Double Dare 2000, Super Sloppy Double Dare and Fox’s Family Double Dare. If you have never seen Double Dare, take a look at the preview from last year which shows you what kind of challenges you may actually be in for if you get on the show. Audition for a Nickelodeon show. MysticArt Pictures is NOW AUDITIONING teams of kid teams of 2 & 4 ages 10-14 who know each other, e.g. : BFFs, SIBLINGS, TWINS, COUSINS, NEIGHBORS, TEAMMATES, CLASSMATES. Please note that parents must apply for their kids in order to be considered.